Located in Marylebone Village, The Blandford Hotel is within walking distance from numerous world famous attractions. 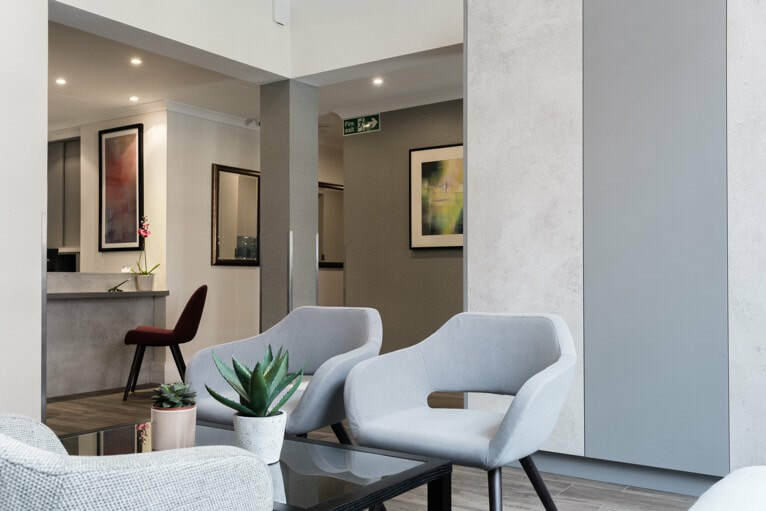 Following an elegant and modern refurbishment the Blandford Hotel offers exceptional service for guests with access to modern amenities such as ultra-fast internet within a tranquil location in the heart of London. 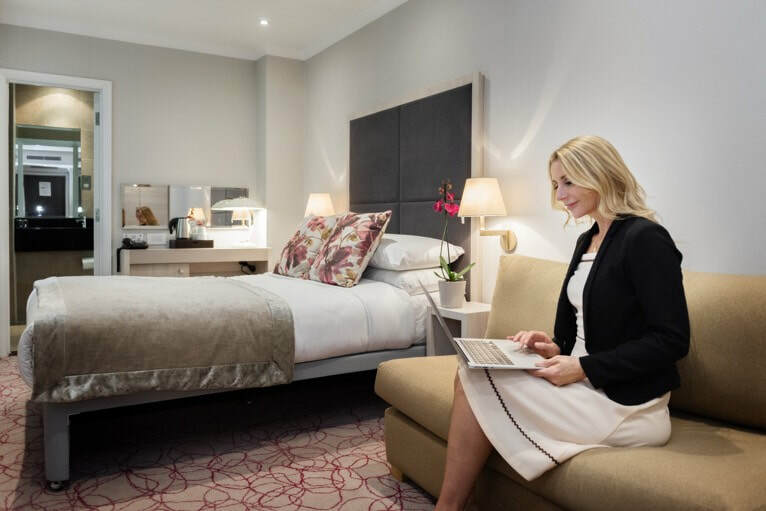 ​Catering to both business and leisure travellers, The Blandford Hotel offers class and value with all of London’s superb shopping, restaurants and night life within easy reach. 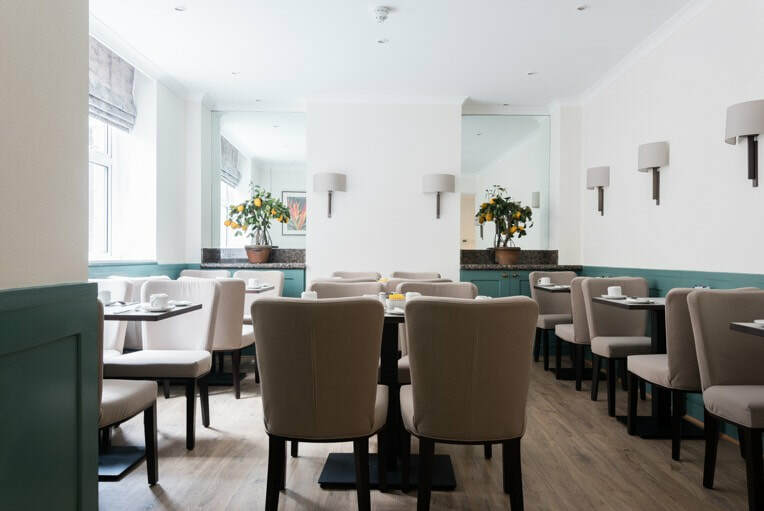 Unrivalled dining experiences can be found nearby thanks to our restaurant partners, offering a great choice of cuisine from authentic Chinese restaurants to fine dining. Our multilingual staff look forward to ensuring that your stay is a memorable experience. 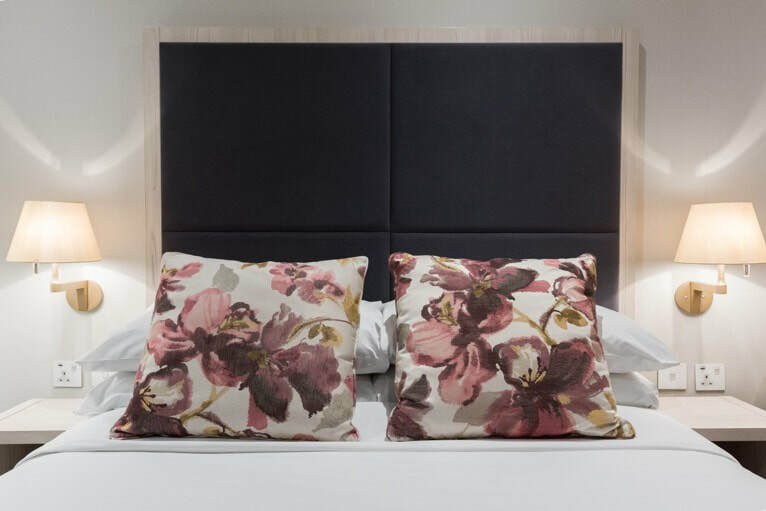 Our Executive Double or Twin room offers the choice of one double or two single beds for up to 2 persons. 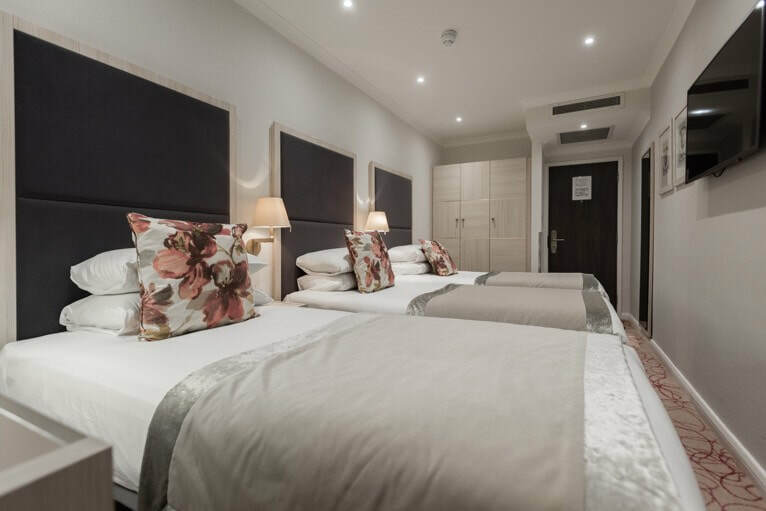 Slightly larger, the room features additional amenities for comfort and convenience, including a private bathroom, microwave, mini-fridge, air conditioning, Wi-Fi, USB ports, satellite smart TV, laptop safe, tea coffee making facilities, toiletries, Ironing facilities and hairdryer. Our Family Triple room offers one double bed and one sofa bed to accommodate up to 3 persons. Perfect for families, this room also has a private bathroom with bathtub or shower, air conditioning, direct dial telephone, Wi-Fi, USB ports, satellite smart TV, laptop safe, tea coffee making facilities, toiletries, Ironing facilities and hairdryer – all for your convenience and comfort. 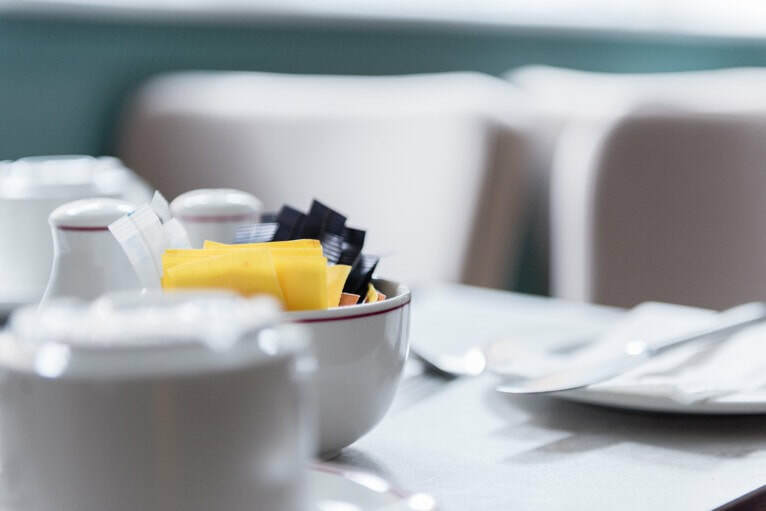 Enjoy our English breakfast (for a surcharge) served in our breakfast room, featuring coffee, tea, sausages, eggs, beans bacon and mushrooms in addition to our Continental offering. Throughout the day, we offer all of our guests coffee, tea and water – all available in our welcoming lobby. The Blandford Hotel is conveniently situated in an excellent location on a quiet street in central London, within walking distance of the world-famous shopping districts of Oxford Street and Bond Street, with serene open spaces and the world-famous London Zoo nearby – all whilst situated in the quiet and safe, village-like area of Marylebone. 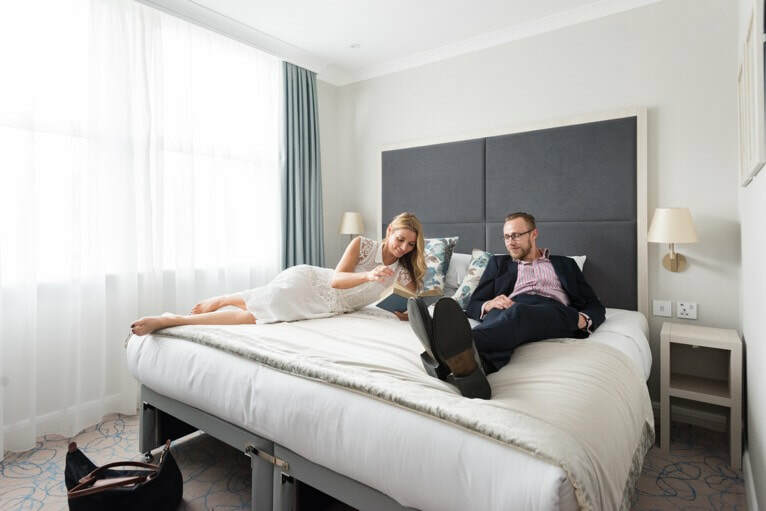 A fabulous location, just off Baker Street next door to Regent's Park, makes The Blandford Hotel the ideal place to explore London and its many riches. "I was only there one night but they couldn't have been more helpful. My bags were in my fully air conditioned room before I had finished checking in. They were great with booking taxis,even finding one for my friends for 5am,the day they left and reminding me what time I had booked mine for! Directions and queries,no problem. 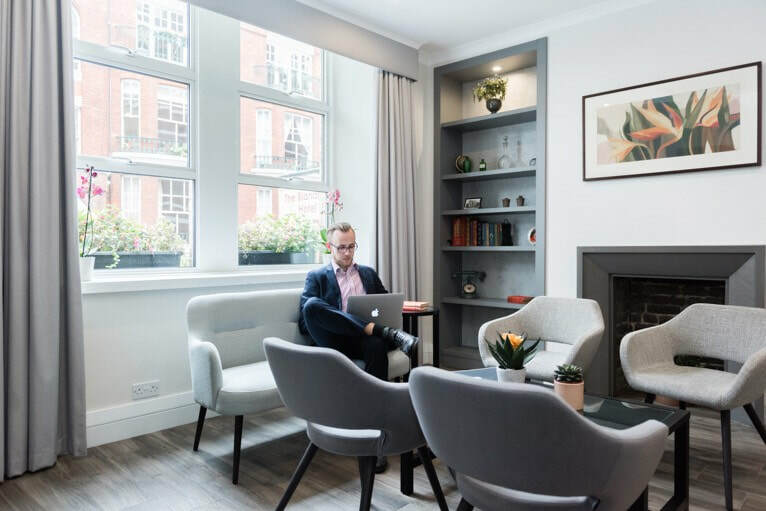 Great central location,buses and tube just a few minutes walk away and only 10, on foot,to Oxford St.
Great hotel,would definitely recommend it, and stay again."